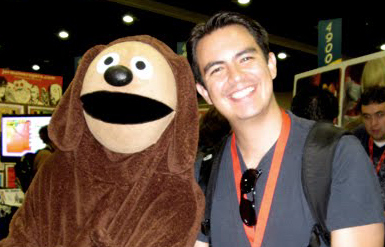 I had an absolute blast last month in San Diego at my very first Comic-Con. After ARTICLES OF WAR screened, I went up on stage along with three key crew members (from left to right: editor Jeff Yorkes, composer Ryan Shore, actor Clay Adams, and Yours Truly) to answer questions from the crowd. I’ve loved every screening I’ve been to, but this one was extra special. After the screening, I had three full days to explore the convention hall, listen into panels, and just generally wander around with wide open eyes (the Weta Workshop booth was probably my favorite place to drool over collectibles and props). 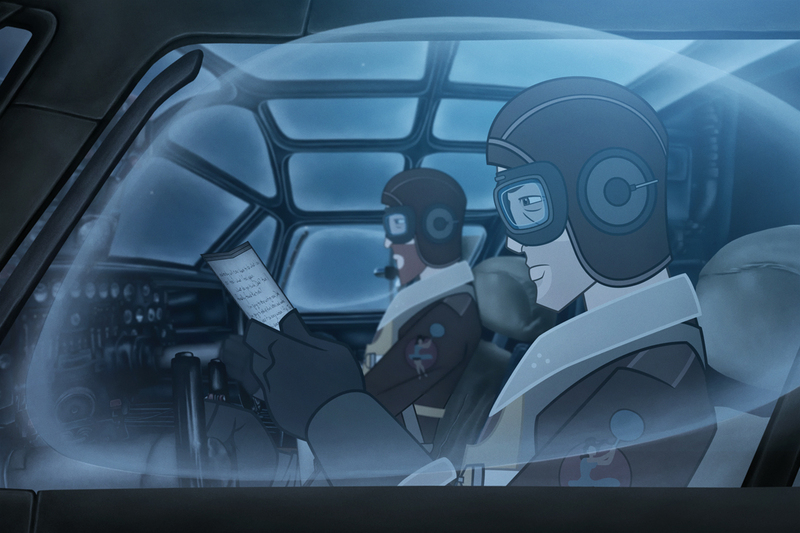 I’m thrilled to announce that ARTICLES OF WAR will have its California premiere at the Comic-Con International Independent Film Festival at the San Diego Convention Center. Everyone attending Comic-Con on Friday, July 24th can see the film in Room 26AB at 1:10 PM. I’ll be appearing along with editor Jeff Yorkes, composer Ryan Shore, and actor Clay Adams. We’ll all be available to answer questions at a panel after the screening – if you like what you see, please be sure to stop by and say hello. 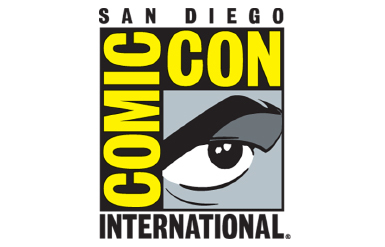 This will be my first appearance at Comic-Con, and after spending years reading about the event (first in various fanzines in the 80s and 90s, then on the Web), I’m sort of amazed that I’m finally going to get to wander through the various exhibits, presentations, and merchant stalls. If you see me with a particularly tortured expression on my face, it’s just because I’m trying hard not to spend my life savings on some obscure vinyl toy that I. Must. Own. Now. 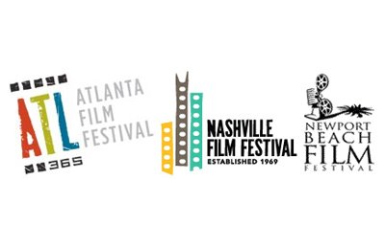 ARTICLES OF WAR is playing 3 festivals in April – the Atlanta Film Festival, the Nashville Film Festival, and the Newport Beach Film Festival. Actor Clay Adams and I will be attending the Atlanta event in person and participating in a Q&A after the screening, so if you happen to make it, please say hello. It’s my first visit to Atlanta (not counting the sprawling Hartsfield-Jackson Atlanta International Airport), and I’m really looking forward to it. 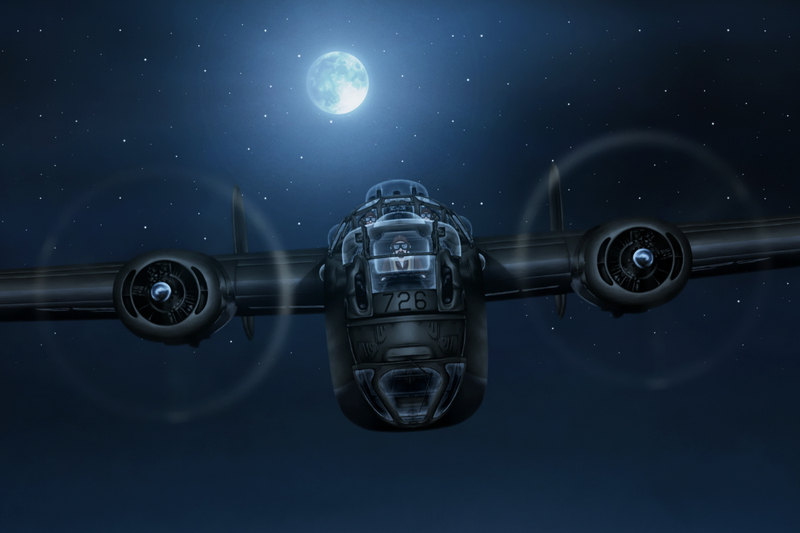 I just got back from the Cleveland International Film Festival, where ARTICLES OF WAR had its Midwestern premiere. 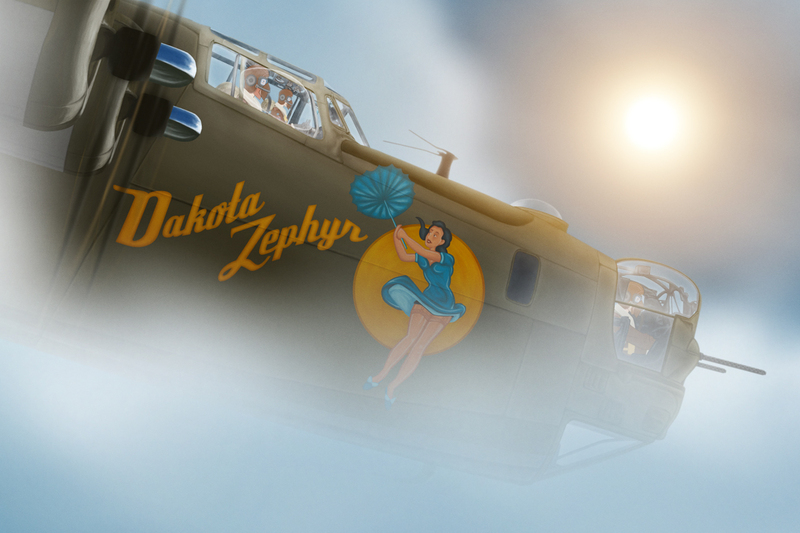 The film got a great reception in the Rock ‘n Roll Capital of the World, and the event was a total blast. I could only stay for a couple of days, so my only regret is that I wasn’t able to spend more time in a dark theater sampling the hugely eclectic mix of movies featured in the festival. Thanks to all the behind-the-scenes programmers and volunteers who made this year’s festival a huge success! If you live in or nearby Cleveland or Atlanta in the next couple of weeks, you’ll have a couple of great opportunities to catch ARTICLES OF WAR in glorious 35 MM on the big screen! 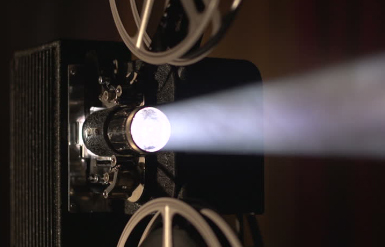 First up is the Cleveland Film Festival, and then in April is the Atlanta Film Festival, which just released its schedule. I’m positively thrilled to be playing in a program along with animation legends Bill Plympton and Don Hertzfeldt! 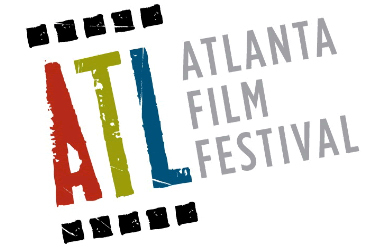 I’m thrilled to announce that ARTICLES OF WAR will be playing in the 2009 Atlanta Film Festival, which takes place from April 16th to April 25th! The exact screening times haven’t been announced yet, but I’ll post an update as soon as I find out. In the meantime, I’ll be attending my Cleveland screening in person. 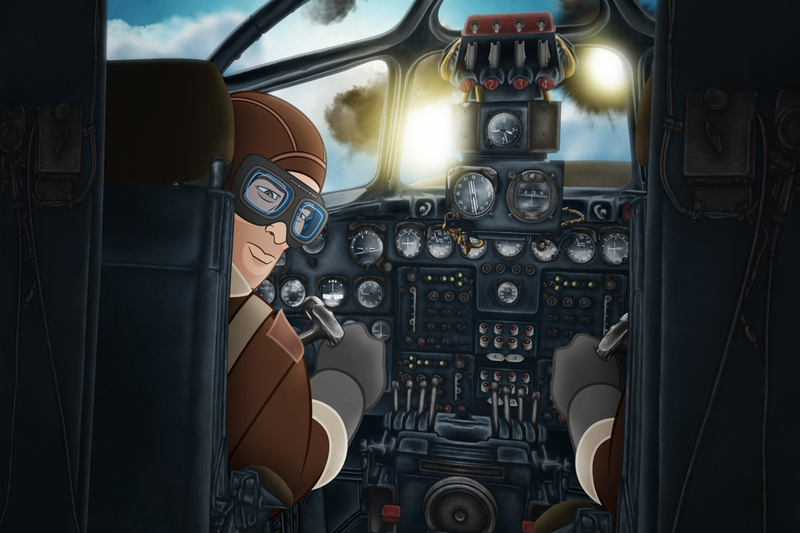 ARTICLES OF WAR is playing at 4:20 PM on March 24th in the “Independent Shorts Program #” at Tower City Cinemas. Tickets are on sale now! 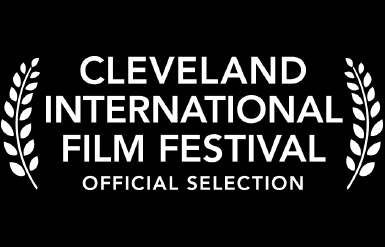 I’m very proud to announce that ARTICLES OF WAR has been accepted into the Cleveland Film Festival, which takes place from March 19th to March 29th deep in the heart of the Rock ‘n Roll Capital of the World. The film will screen on Tuesday, March 24th at 4:20 PM as part of the Independent Shorts Program #7, which looks like a really cool batch of new films. 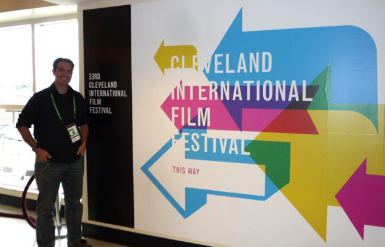 If you’re a Clevelander and you love movies, then please come out and support the CIIFF! Film In Can, Ready to Roll! 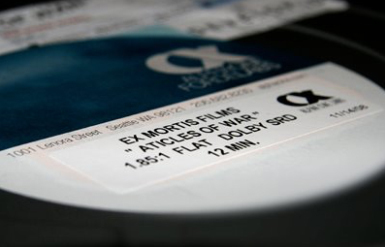 Thanks to the pros at Alpha Cine Labs, I now have a brand spankin’ new 35 MM film print of ARTICLES OF WAR. 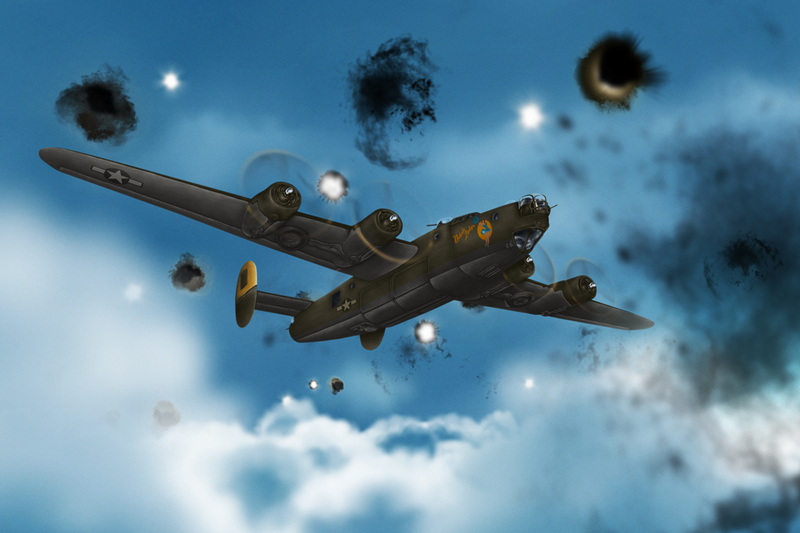 It looks (and sounds!) fantastic – I spent so much time watching the movie on my (relatively teensy) computer monitor during production that it was a genuine thrill to finally see the movie projected on the big screen. I’m currently keeping this sucker safe and sound in my closet, but I’m looking forward to showing it to… well, everyone. Film festivals, here we come. 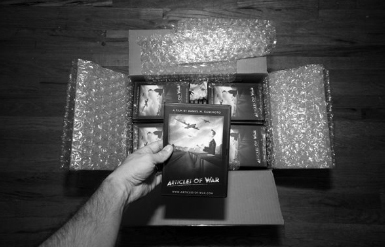 I just opened up my first batch of ARTICLES OF WAR DVD screeners, and they’re all earmarked for various film festivals around the world. I’ve spent the past few hours filling out entry forms – it’s a pretty painless process these days, thanks to the Internet (in the past, I remember cursing my horrible penmanship skills while filling ’em out by hand). I just hope I spelled everything correctly. Once the movie finishes the film festival circuit, I’ll be releasing a fancy DVD with some cool extras, like a behind-the-scenes look at the Skywalker Sound scoring stage – my editor, Jeff Yorkes, is cutting it now, and I’m thrilled with how it’s turning out. 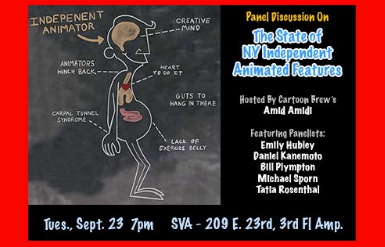 I’ll be screening a 2-minute clip of ARTICLES OF WAR at an ASIFA-East panel called “The State of NY Independent Animated Features” on Tuesday, September 23rd at 7 PM on the 3rd floor of SVA (209 East 23rd Street) in New York City. Admission is free. I’ll probably be taking notes up on the stage, ’cause this panel has some real experts, like the great Bill Plympton, who’s made about a zillion awesome cartoons in the time it took for me to complete my movie.